Banking Technology Awards 2018: celebrating most innovative projects of the year! We’re on the lookout for all the best fintech projects of the year! Recognising excellence, innovation and the use of IT in banking and financial services, the 19th annual Banking Technology Awards will be taking place on 13 December in London. Fintech for Good – a new category, honouring a financial services or technology organisation for its outstanding contribution to the community in which it serves. Click here for more information about the Award. Be a part of our celebrations – enter Awards by Friday, 31 August! For more information, please get in touch with Irena on irena.andrisevic@knect365.com, or call +44 (0) 207 01 75379. Interested in placing your brand in front of this exclusive audience? Get in touch with Jon on jon.robson@knect365.com, or call +44 (0) 203 377 3327 to explore sponsorship opportunities. Cake4Good fintech charity bake off! Where you can bake it! Fake it! Or buy it! In support of The House of St Barnabas. 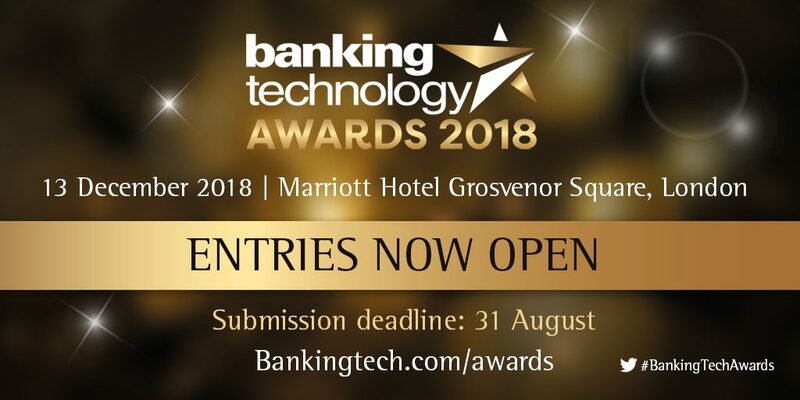 Enter Banking Technology Awards by 31 August! Enter the PayTech for Good Award by 5 April! Honouring organisations for outstanding social impact. With the aim to bring in more commercial customers. AI offers a new service model for the financial sector. Personal finance, taken to the next level.